In this “inner-view” interview with the lovely Kathleen Brigidina for the TreeSisters Well of Creativity and Wisdom group, we talk about my art journaling process and my newly rekindled connection with nature and the trees. During the interview I also talk about my time spent with Jewels Wingfield at EarthHeart UK and the wonderful influence this has had on my art. 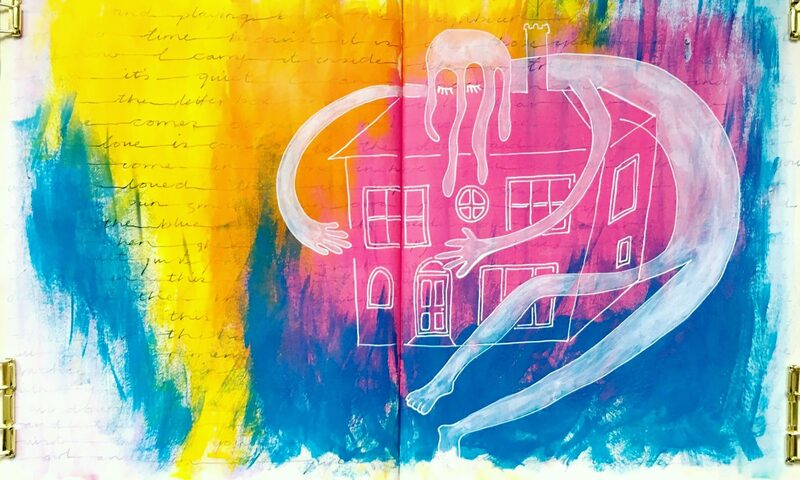 I also mention the Rituals class with Vanessa Oliver-Lloyd, an incredible art journaling journey over the course of a year. It was so lovely to meet Kathleen and to talk about all these subjects so close to my heart. I felt we could have gone on chatting for hours. I loved every minute of it. I hope you will enjoy it too!